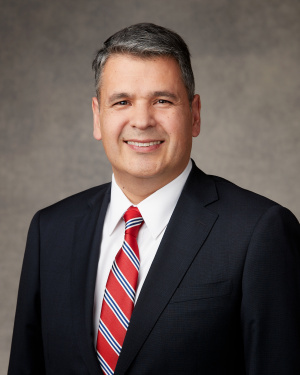 Juan Pablo Villar was sustained as a General Authority Seventy of The Church of Jesus Christ of Latter-day Saints on March 31, 2018. At the time of his call, he had been serving as a member of the Seventh Quorum of the Seventy in the South America South Area. Villar was born on September 11, 1969, in Valparaiso, Chile. He received a bachelor’s degree in social communications and public relations in 1994 and a master’s degree in marketing in 2002. He also obtained a master of business administration from Brigham Young University in 2007. He has filled commercial and marketing positions in the pharmaceutical and medical devices industry. He also worked in the mining industry running business improvement programs in Latin America, and most recently working as a senior manager. “I didn’t understand all the meaning of that,” recalled Elder Villar, then age 17. “But at that moment, he put a seed in my heart.”That seed was given a chance to grow when his brother referred him to the missionaries. During his first lesson, Elder Villar received his own testimony of the truthfulness of the Book of Mormon. A year after his baptism, Elder Villar began serving in the Chile Viña del Mar Mission. Villar and his wife, Carola Cristina Barrios Villar, are the parents of three children. This page was last edited on 30 April 2018, at 18:31.